"Best Firewall Solution On The Market"
I have started using Sophos UTM when it was still known as Astaro. While I have been looking at other products to follow new innovations, I consistently found that Sophos delivered the best features in its category. It is fairly easy to setup and it just works. I cannot say the same for many other solutions I have evaluated over the years. For the past few years, Sophos has been telling us that we will soon be able to migrate to their new solution Sophos XG. Sadly, the new solution is behind on features and I have yet to see the promised migration tool. That said, I can see that Sophos XG is a forward looking solution. I just wish that development would move along a little quicker. Why am I talking about Sophos XG here? Well, Sophos has pretty much stopped development on Sophos UTM and so we are only getting fixes and maintenance patches at the moment. If you are running a smaller company like me and are looking for reliable features for your money, you should give Sophos UTM a try. It worked extremely well for us and it allows us to safely connect our office to our SAP servers in the data center. It works well protecting my company's assets in the data center. At the same time, we can safely connect our office to work with our SAP servers in the data center. XG units are easy to manage thanks to their cloud console and have very powerful features. The "security heartbeat" that syncs endpoint antivirus/antimalware/anticrypto with the firewall is a no brainer. Combined with the ability to manage FDE and see which users pose the highest risk based on behavior has made the entire stack invaluable to our clients. SG units are solid but take too many steps to create and apply new policies. Some of the documentation is not entirely clear at first, but they seem to be improving it. Support can be hit or miss, depends on who picks up the phone. We've never had a problem not fixed before we ended the conversation, but sometimes the call went longer than it should have. XG units are the way to go. We always recommend one model up from what the current client needs are to allow for growth and new features. The ability to manage all of our clients in one dashboard has greatly streamlined our processes, saving us time and leading to faster service times. "Sophos UTM - My Gatekeeper"
Our Sophos SG230 has provided as much bang for the buck as we could get when it comes to protecting and administering our network security. It has all of the baseline firewall functionality in the definitions and rules that are either automatically set up or added by the user. I love the additional security I see as it blocks traffic to known bad actors using the Sophos database which though not as extensive as Cisco's is still quite substantial. I've seen this thing alert and block the wrong thing enough times to know I don't want to live with anything less and am seriously considering an XG230 in the near term. It also does a great job with the Sophos Wireless Access points. It is complicated at times and you have to manually perform firmware updates. I would love to see that scheduled from the dashboard. I would love to see more granularity on the monitoring and reporting of traffic. Look at Sophos and keep in mind the companion products such as endpoint protection, WAPs, the variety of VPN flavors. Before Sophos we had an infection that would have been stopped by the Sophos SG230. The current situation is so bad it's depressing. The network is under constant attack and probing for absolutely the worst of reasons. There is an army arrayed against us and products such as the Sophos UTM are our early warning system, first line of defense and counter-intelligence agency. "Sophos UTM is like a relics of the past that needs to be conducted in the present"
Our Sophos UTM still does what it supposed to do, it protect correctly our business network against attacks from the internet. Well, unfortunately I have more thing that I dislike that things that I like about my Sophos UTM. We first dislike that the setup and operation of the UTM is a real P.I.T.A. The management interface is also like a relics from the past and we found that there's many settings in different menus that interact all together or that are conflict together. For example some settings from the "Application Controls" feature are become in conflict with "Network Protection" (basic firewall) settings. Yes of course after a while you figure out how conflicts happen, but in other products that are more modern, the manufacturer will have a better consistency between settings menus. When we first put the brand new UTM in place, we had some bad times figuring out why things are not working properly. We also deplore the lack of several modern feature who are still unsupported by Sophos UTM even in 2017 like IKEv2 ipsec... once again, it's like of Sophos UTM have several years of backlog in R&D over other manufacturers. Sophos is supposed to release a completely new generation of appliances in 2018, so after trying it out we will see if Sophos is still in the right direction or if we will choose another appliance manufacturer. Well, we surely improved overall security a lot and we also gained a lot more granularity over the restriction we wanted to put in place for inside and outside the company. "Sophos UTM and Sophos XG"
It complies widely what it promises, it provides a robust, efficient and stable security solution and at a very competitive price, it also gives freedom to security management, allowing this time for other activities. Creation of secure channels, providing rights to users and management of the Wi-Fi network, reinforcing the range of remote security are some of the solutions that we carry out with Sophos today. "Is a robust and easy to use administrative plataform to our network"
The easy interface and the multiples features , no matter whats device we use; stations, mobile, all network and data are safe from threats, regardless of where tour users work. Only a small training of few hours are enough to get started in its basic configuration. Honestly, the price compared to similar solutions is high, in the same way the access point devices have high prices despite its technical characteristics. Our UTM resolved is a very good way to our network management and protection of our emails plataform. Also allowed a simpler administration of broadband connections and our remote locations and office. Sophos UTM is an easy to manage firewall which can get you working very quickly. You can create rules with multiple objects each with a different subnet. This helps in reducing the amount of firewall rules required and makes it quicker to manage. NAT is also very easy to set up in the firewall and this includes complicated Full NATs where the source and destinations are both changed. You can also connect Sophos Access Points where you can setup captive portals with AD login or Voucher based access etc.. Compared to other competitors we have tried Sophos is powerful and very intuitive. No rule hit counter which could help cleaning unused rules. No cli for granular control if required. IPS performance affects real time traffic like video or SIP. No support for elliptic curve crypto. As with other firewalls trial is key. Everyone has different tastes and requirements. Since we are so used to Sophos we can quickly and very efficiently set up VPNs and complicated NAT which sometimes is needed to be done very quickly. "Very nice entry level / SMB firewall appliance"
The ease of setup and the feature provided with this little appliance is absolutely amazing. I was quite impressed by the feature for price. I like the fact that it runs Linux in the background. Support is not reachable easily and eventually, you get somebody over the phone. Sophos UTM is a great entry level firewall who provided access to enterprise features/protections and the entry ticket is low. I really think it worth the investment for SMBs or branch offices. "Sophos UTM - Powerful yet easy to use"
The ease of use. The Sophos interface is really clean and easy to understand. You don't need very much training to be able to use. It is almost like the Mac for UTMs (I know some may not like that, but I mean that it is less console/script based set-up/admin and more UI and friendly, yet still secure). The method of opening ports is slightly different from most other 'firewalls' and takes some getting used to, but once you understand the process and how it works it is fine, you just have to re-train your brain a little. I prefer the interface for the current models compared to the UTM 9. Give it time. Be prepared to learn the nuances. Find a good resource for if/when you need help. We rolled it out and I have added/turned on features in stages. Their customer service is good as well. I had a unit whose HD failed and they overnighted a new unit to me. Really appreciated that to get me back up and running. Protection of our systems. This is our firewall. It not only protects our network, but it acts as our content filter. We can warn users when they are about to download a filetype the could be dangerous, as well as limit or warn for certain website types that might be dangerous. We also use one for a remote office location so the VPN tunnel is of great benefit. "Good product, but not a "one solution fits all needs""
I like the capabilities of the software overall. You can effectively protect most any scenario and block anything you want. The user interface is not intuitive at all. It is exceptionally granular and requires a significant learning curve just to deploy in it's most basic form. Although it has the capabilities to perform, it's capabilities are overshadowed by the difficulty in setup and usability. For most small to medium businesses I would personally say that it's overkill. When factoring in cost of software, configuration time and support it becomes very costly. Especially so when compared to equally as capable and robust solutions. There is the correct tool for every job. Although you could use a pair of pliers to hammer in a nail, a hammer would be the best tool for the job. Make sure to research all options for your scenario before committing to this as it may not be the best fit for you. It provides protection for my network and the ability to minutely make changes and enforce rules. Objects can be created and re-named on the fly. Firewall rules and policies are very easy to configure. The live log feature is very easy to navigate and see what is being blocked where. I wish that the interface would not time out and have issues when first logging into the web interface. The web interface takes a little bit of getting used to, but once you have learned how to get around, it makes a lot of sense and can be very easy to configure. We solved the problems of other firewall vendors going end of life with no replacements. The benefits of Sophos was the ease of use with a very responsive web interface. Absolutely the best security software in the business with the VERY best customer service. Sophos I was actually the one who recommended them from prior experience with them at my home. I had called them randomly with a problem with my home computer and they walked me through fixing it without me ever being a member or having their software. Do not hesitate to get this for your company they are the best in the business and I would recommend them to anyone who is looking for security services. Well obviously security. There are multiple properties that we communicate with online and we had a lot of issues with hacking and it was getting really bad. Once this was in place life as a manager was much easier. Ease of use and how simple setting up everything is. How much simple customization you can do. The complete and active log that you can just watch if something is getting blocked its pretty simple to track down. Don't hesitate it's a really great firewall. Being able to fully work with customization of the computer/user level and how much of what they see on the internet. Also blocking ads from the firewall level is really nice. The Sophos firewalls are are full of features to protect the corporate network. Everything from IPS, to Reverse Proxy Services, to SSL VPN, and more. You can even do deep packet and application aware scanning and control. When purchasing, there is a kind of black magic to choosing the right hardware level. The firewall must be sized just just depending on how much bandwidth you have and how many services you want to turn on. Dont skimp when sizing the hardware. The more you spend today, the better the solution will fit for the duration of its life. Full integrated security management for the corporate network. The firewall will integrate with the Sophos antivirus and antiransomware software give you a wholistic approach to network security. "The best firewall solution for any business small to large!" How through it is. It protects EVERY aspect of our data coming in and going out. The reporting and alerts are fantastic in assisting in tracking down issues within the network. Sometimes it can be a little overwhelming when setting up access to certain rules, ports, sites, etc. But Sophos support is spot on and always there to help. If you are worried about network security, look no further. Keeps all of our data safe, keeps our users (rather they be guests or employees) safe, we don't have to worry about data breaches. Peace of mind. Easily deployment from the master console. Policies are fairly easy to set and apply. We were able to utilize this for securing our environment by setting computer policies such as USB lockdown, etc. Uninstalling from a machine is quite the chore. It is a several step process that is time consuming. Doing this en mass was very difficult when we had issues from our deployment at one point. Uninstalling the application is very difficult if it is needed to be done in mass. "Greatest Firewall/UTM Product I Have Ever Used"
Simplicity. Interface is superb and the ability to quickly configure advanced routing, static routes, DNS, DHCP relays using object-based configurations just makes the unit so easy to use. I don't have time to work through Cisco router CLI, this Sophos UTM does the job of a router and more with the time to configured about 1/3 of the time required for other vendors. The logs are extremely clear to read through and identify issues if reported by end users. And let me not forget that the Up2Date firmware process is so easy, when you have to do firmware updates on other appliance types you immediately miss the convenience. If you want to be able to deploy and managed reliable and secure appliance, the Sophos UTM running UTM9.x is the right choice. The ability to centrally manage and monitor all appliances from a Sophos UTM manager with no addiitonal licensing is invaluable. The TotalProtect(FullGuard) license/subscription includes warranty for the hardware, and the High Availability is extremely effective and easy to support. Improved Performance for End-Users across the board. Simplified Security policies by Network, User, User Group, Time-Based Policy, Granular Categorisation and recategorisation. "Sophos es uno de los mejores software de proteccion"
Esta herramienta nos ofrece una protección en tiempo real desde el firewall. Yo lo utilizo en la red del colegio y para los alumnos es la mejor opcion. La plataforma de control es muy intuitiva y la verdad que muy comoda. Como contra tengo que decir que algunos alumnos encuentran la forma de saltar el firewall de sophos con extensiones de APN, esto me resulta un poco pesado porque tengo que entrar cada vez a la plataforma para bloquear estas extensiones descubiertas por los alumnos. los problemas resueltos de intimidad y protección para los alumnos frente a paginas web peligrosas para los alumnos. "Great protection for Windows machines"
Easy to roll out from a Sophos firewall to windows computers on our network. Being able to make sure everything is up to date and implemented from the firewall is great. If you are using a sophos firewall, but you are a apple product heavy enviroment, it will not have the full features it would with windows. Enduser protection and not having to be concerned about our end user devices. "Good reliable brand for UTM"
"Sophos has a nice user interface and works well with other equipment"
The user interface is nice and clean and pretty straight forward which is nice when first starting to use Sophos. I have also found that it works well with most other systems, whether that be other firewalls, or other equipment like switches and phone systems. I haven't really run into any problems at this point to complain about. We use our UTMs for VPN, firewall, and some extension filitering. We use some other webbased tools, for additional layers of security. The company chose Sophos for our systems and it gives us the security of allowing employees to have their company email on their personal devices. To this point, I have not encountered a problem. I would highly recomend this program to other companies. This has brought a secure feeling to allowing employees to use their personal devices to monitor their company email. The program is available to be downloaded on our mobile devices, which allows employees the ability to have the company email on their private devices. They can review and respond to their email regardless of where they are. Full protection small company network, strong security and make a wifi for guest separately. Best software, I like it, there is no any comment. Free cost for home. Full protection small company network and home, make a guest network separately. Protect and monitoing the web access log. 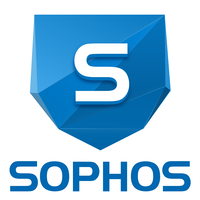 "Sophos watches out for you "
Full featured UTM that will handle most requirements of an SMB that requires remote access for employees, web content filtering, and email filtering. Easy to use interface. Support is sometimes lacking and takes awhile to answer even the most basic questions. Keeping the network safe from viruses, malware, and spam. Allowing easy access via IPSec VPN for remote users. Visibility into the types and amount of traffic machines are accessing on the internet. "Sophos - does it work?" From a security point of view, i do believe its one of the best in the market. It offers a secure way to encrypt your data and provide an audit way needed many times. Under certain situations, Sophos simply will not crypt the disk. For example, some bad sectors or even some other 'SW' bug makes some issues and we could think everything is encrypted and its not! Ensure you have all policies defined and do some periodic audits. Security, Information Confidentiality and Auditability. Many of these goals are not implemented to have financial benefits but there are many other ways to get the value out of the tool. Very easy platform to use, easy to run updates on any operating system and provides security for all applications in use where confidential information is used. No problems with this software. It does its job, and there have been no outstanding complaints in my department (IT) on campus or any other. Able to ensure security over all computers/laptops at the university I am employed with (Southwestern University). There are no issues with security at this institution, (meaning no viruses or scam-like entities have been encountered) because of our use of Sophos UTM. "Good overall product with some minor improvements to be made"
Using the UTM for over 2 years now, and still like it very much. The setup is easy and within 15 minutes your up and running. Web GUI has everything you need, all grouped together (some things aren't that logical, but as with the latest updates this is improving a bit). -- It's relative light weight, so easy to run on some older hardware you have laying around. But I don't have any problems with newer more "enterprise" hardware as well. -- Easy and nice Web UI (speaking as a someone who normally skips products with a GUI), it contains all the information you need. -- The Live log is just great! -- The ability to "map" hosts, users, groups etc. is very handy. This way you just have to change your settings in one place in stead of reconfiguring everything where you use that particular host. -- LDAP/AD integration is essential for enterprise usage, and works as expected. -- The CLI, it's just a regular Bash shell but with minimal packages. There also isn't a way to install your own sinds there is no package manager and build software is missing. I think they can improve here a lot. For instance adding a package manager so we can install software on or one but preferable add a "Cisco-like" CLI, so that we can manage all the functions that are in the Web UI with a sophos-*** command. -- Some minor inconsistency in the menus, but as i mentioned already, this is improving and not that big of a problem. Have a good look at the different licensing options, they are based on the amount of active IP's so it's fairly easy to make your decision. Looking for a good solution I can deploy at my customers offices. It offers all I need, with the UTM Manager it's a breeze to manage all the instances. The ease of setup and creating firewall rules and policy. Being able to manage everything from one unit depending on what licensing you get (AV, Web filter, Spam filter, Access Points). Intuitive and simple interface. Pricing can be a bit high if you get all of the services. If you want a simple, powerful solution that can handle all your needs Sophos is the way to go. They also have encryption services which are separate from the UTM, but another great service if you need that type of proection. "Easy to use, keeps computers safe"
I like how quickly it scans my computer and shows me and shows me a detailed log of suspicious activity detected. There is nothing I particularly dislike. Sophos is provided to all University of Washington staff and students free of cost. The main benefit is that it keeps my desktop and labtops virus free. The setup was smooth and easy, the GUI is simple and has all the features and tools you need. Sophos's key points are the excellent security and threat management which is essential for any company. Can't really say anything negative about this product other than the price is a bit too high. I would definitely recommend you check out this solution for your business. Setup is easier than Sonicwall and Cisco, and managing Sophos is simply a breeze. Do yourself a favor and go check their website. This solution has secured and protected our business for over 2 years now. Very easy to manage, requires little training to get familiar. Would buy it again. The visibility that this software platform provides is top of line. Data are displayed in real time without any delays and that is great. The wireless protection aspect of the software needs improvement as I have seen people can penetrate that part. If you can afford it, then please use this software. over any other software. We used it as a rial for our firewall in the beginning and then moved on to another platform because that platformm was cheaper however this platform was better but a little pricey. "Great device to protect your network from intrusion"
Some features are hidden and difficult to find. The Sophos is a true unified threats management device that works great for point of sale networks to maintain PCI compliance. A great and useful tool that allows us to deploy sophos to machines as well as manage our corporate devices helping keep devices up to date and malware free. Nothing yet, it serves it purpose at my work environment and is beneficial to the company. I would like a weekly report on devices. It’s allows us to deploy agents to laptops, mobiles and desktops. It notifys the IT Team when a device has malware. "UTM brings best of new software to the table"
Our workplace is finally streamlined with the reliability healthcare demands of its technology. We had some initial issues with communications between project manager and company reps but they were quickly resolved. Security, decreased likelihood of reportable event, increased technological compliance. We like that it filters out spam emails and emails from people that we do not know. Do not like that sometimes I don't get emails fro multiple days that would've been helpful to get earlier. The fact that port forwards have to be done with werid source ports. Also don't like how network ports can't be bridged and Vlan'd . Solid UTM but do your homework. Port forwarding has caveats like source port has to be 1:63365 or something like that. "Great UTM at a great price"
It is pretty much set it and forget it. It does everything we need and there is little I need to tweak once its running. Some of the reports are still not very non-it friendly. Went to a different app for Web reporting for managers. Needed something that would just do its job and not be a pain to manage. this does it. "Solid, Feature Rich, Reliable product!" The user interface is simple, the controls logical... these things are just bullet proof! The next generation (XG firewalls) really mangle the UI, making it much less user friendly... Sticking with UTM for now! UTM protects my business network and keeps me informed of its health and status. it blocks serious threats in real time! "Sophos is easy to use"
Easy to navigate GUI interface. ssl vpn is rock solid. WAF function has tripped me up before, causing issues. Firewall, vpn, dynamic routing, threat detection. "Sophos is easy to manage and does the job. " Sophos basically runs itself, so any kind of update just happens in the background, and we don't have to interrupt class time to make changes. Can't say there's a lot I dislike, except it's not the most extensive anti-virus. Sophos is automatically dealing with threats we likely couldn't catch in time on our own. "A great tool for enterprise security"
Ease of use but also the capabilities to get granular with the setup. Administration is very clear cut as well. Its on the high end on price. The original product was a little clunky but has been much more streamlined since using the sophos cloud to manage utm. Prevention of ransomware or other malware activities. "Not the AV Product we choose"
Very nice unified interface. Clean looking product. Multiple features available in suite. Slows down computers, false positives, buggy software. Did not work how we thought it would. We ended up choosing a competing product because it did not tick all the boxes that we wanted. Devices are easy to switch out and copy over confit files when we have issues. We lease these to our clients aspect of an MSP offering. This helps us manage risk. "Great firewall/IPS/IDS for small business"
The box is an all in one GUI for firewall and IDS/IPS solution. The only downside I see is a novice could attempt to set this up and can really mess settings up. Replaced firewall, IPS/IDS and email filtering solutions with one UTM. "Positive Contender in Threat Mgmt Space"
Easy to manage platform that provides deep insight into our environment. We don't really have any dislikes for Sophos. It just works as intended. Used for Vulnerability Management and light Threat Intelligence. Fits in nice with our other platforms. * We monitor all Sophos UTM reviews to prevent fraudulent reviews and keep review quality high. We do not post reviews by company employees or direct competitors. Validated reviews require the user to submit a screenshot of the product containing their user ID, in order to verify a user is an actual user of the product. Hi there! Are you looking to implement a solution like Sophos?